Although the Vino Vault wine cryptex accepts many standard 750 ml bottles, there are some size and shape limitations. 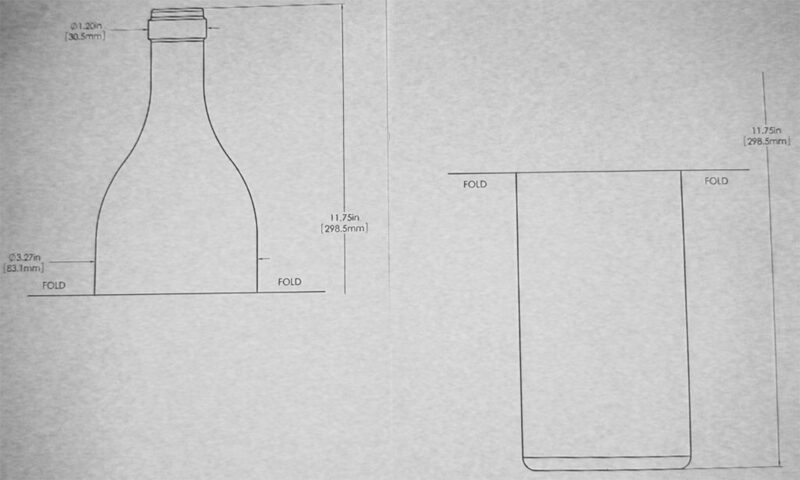 Bottles must be less than 3-1/4″ in diameter and no taller than 11-3/4″. 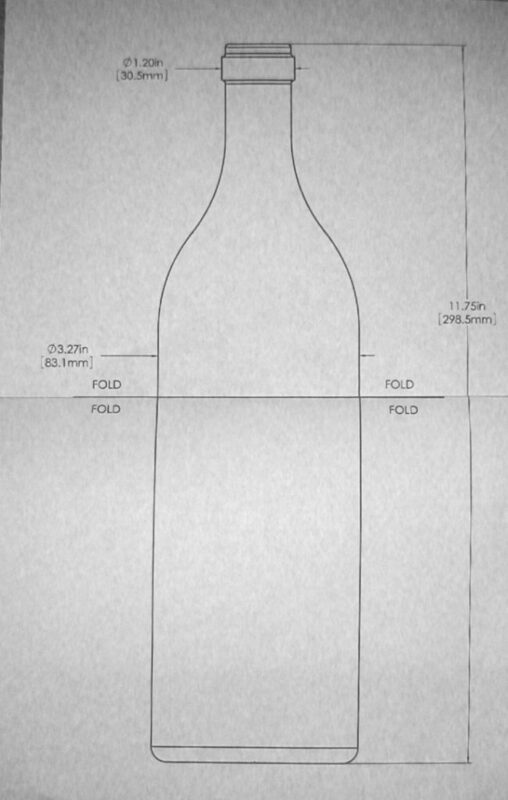 This permits use of many bottles, but Champagne, Chianti, and any “unusually shaped” bottle will not fit. 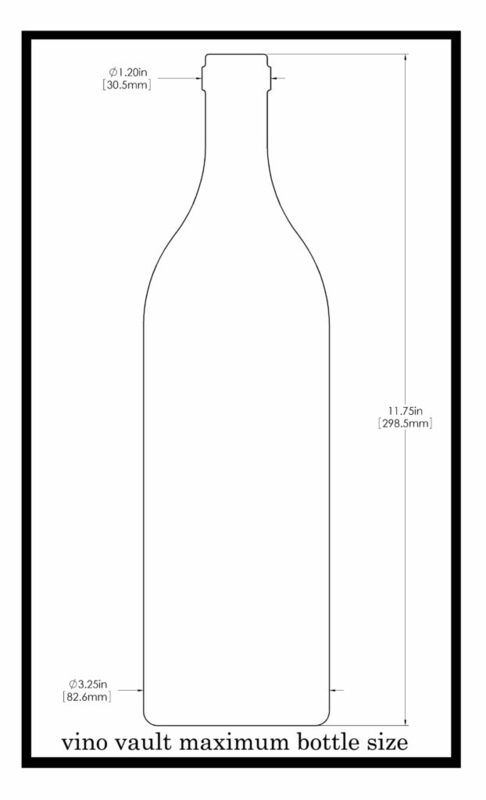 Some Pinot Noir bottles fit, but we’ve found that many of these bottles tend to be shorter and larger in diameter. Whites like Rieslings, Chardonnays, etc. tend to come in taller, more slender bottles that exceed the height requirement. Your best bet on finding suitably sized bottles are reds like Cabernets, Merlots, and Shiraz – burgundy style bottles. Also if you want to string your friend out for a while, you are better off choosing a red that will age. If you would rather not walk into an expensive wine shop with a tape measure and get some funny looks from the proprietor, we have a two page template that you can download and print out. Holding the bottle and comparing it against the outline will tell you pretty quickly whether you’ve got one that’s going to fit or not. Ready to throw a party with Spin the Bottle game set? It’s important to let your invited guests know about the bottle size limitations ahead of time so that what they bring can be used in the game. Send them a link or email them this. 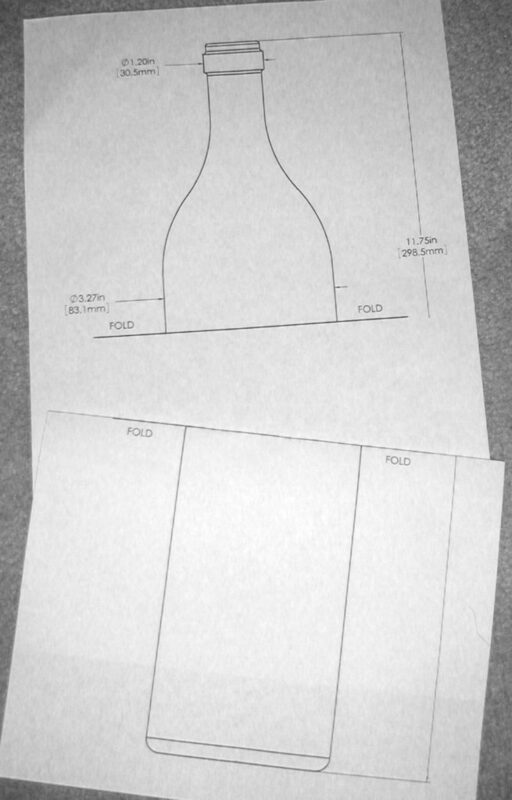 Fold and join the two sheets as shown below and then you’ll have paper gauge. You might still get some funny looks from the shop keeper!